A newspaper advertisement in The South Florida Argus issue for January 3, 1886. 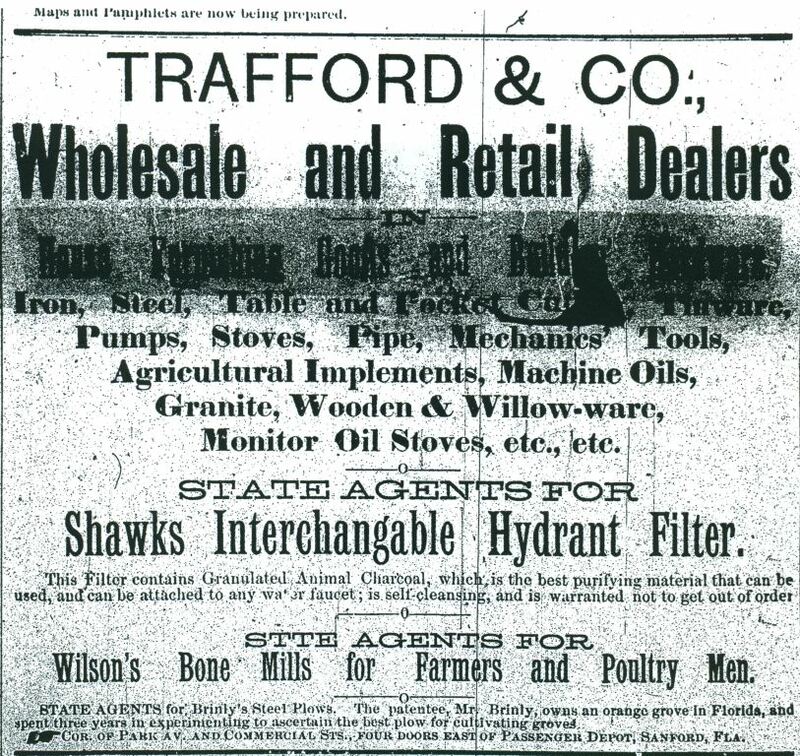 This issue includes an advertisement for Trafford and Company, wholesale and retail dealers located at the corner of North Park Avenue and West Commercial Street in Sanford, Florida. 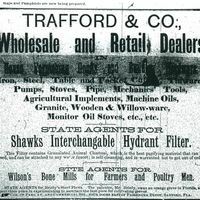 “Trafford and Company Advertisement.” RICHES of Central Florida accessed April 25, 2019, https://richesmi.cah.ucf.edu/omeka/items/show/4289.